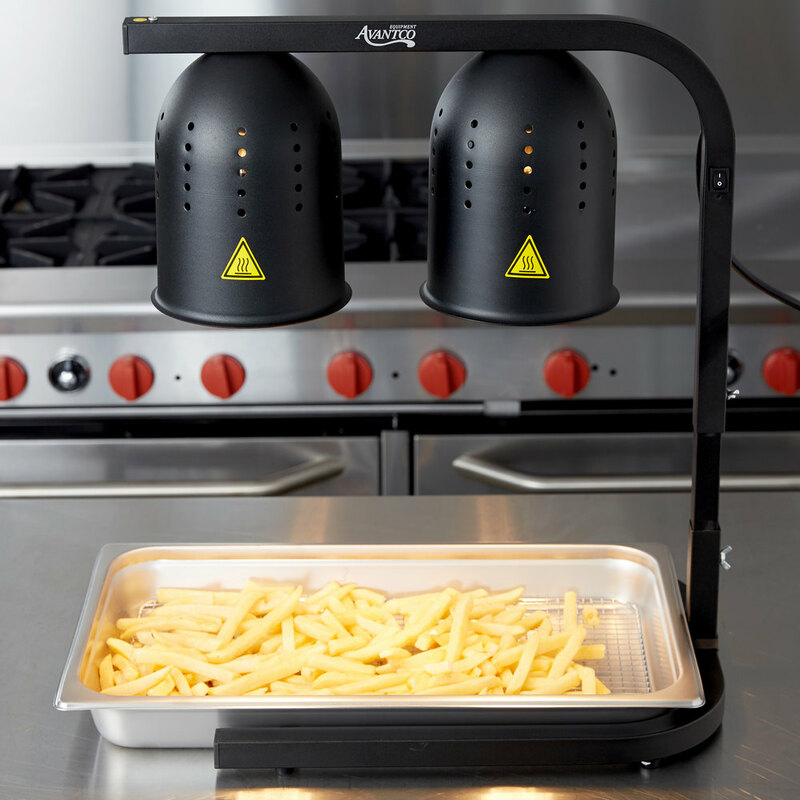 Keep your french fries, onion rings, or fried chicken fresh and ready to serve with the Avantco free standing two bulb heat lamp / food warmer! 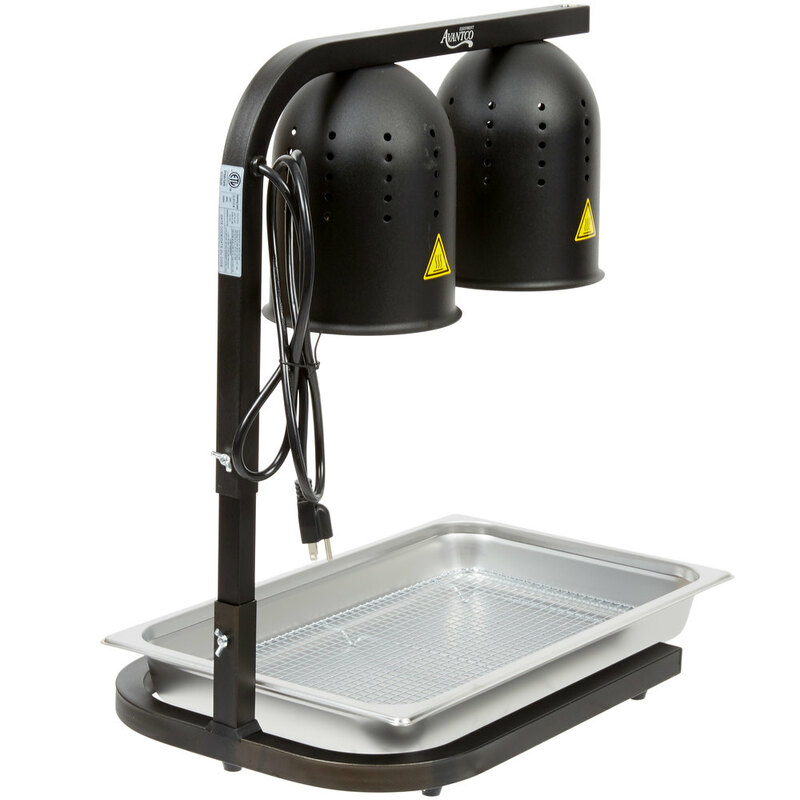 This free standing food heat lamp is quite versatile thanks to its adjustable stand, so you can control the intensity of the heat reaching your food to prevent over-drying. 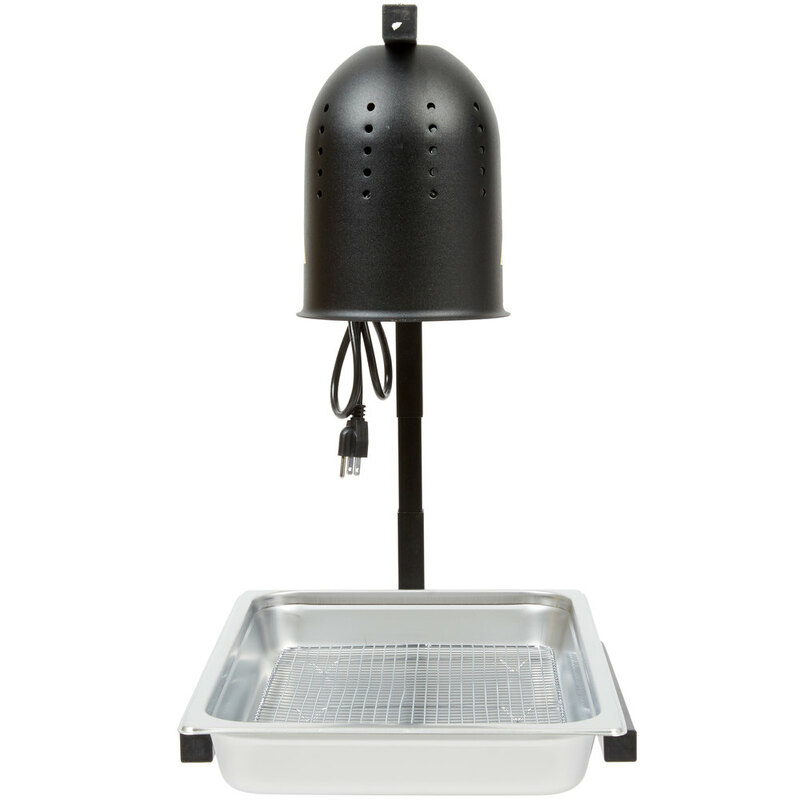 The Avantco free standing two bulb food warmer lamp is made of heavy-duty aluminum to withstand the daily demands of your busy fast food restaurant, concession stand, or snack bar. Two clear, 250W infrared bulbs are included. The warmer is ETL listed. 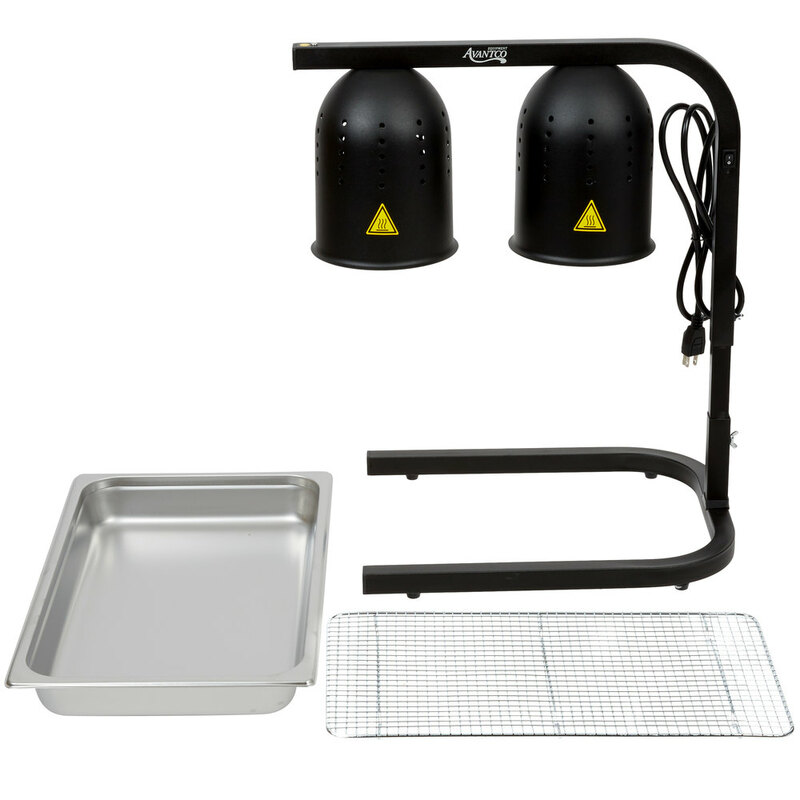 This model comes with a full size steam table pan for convenience. 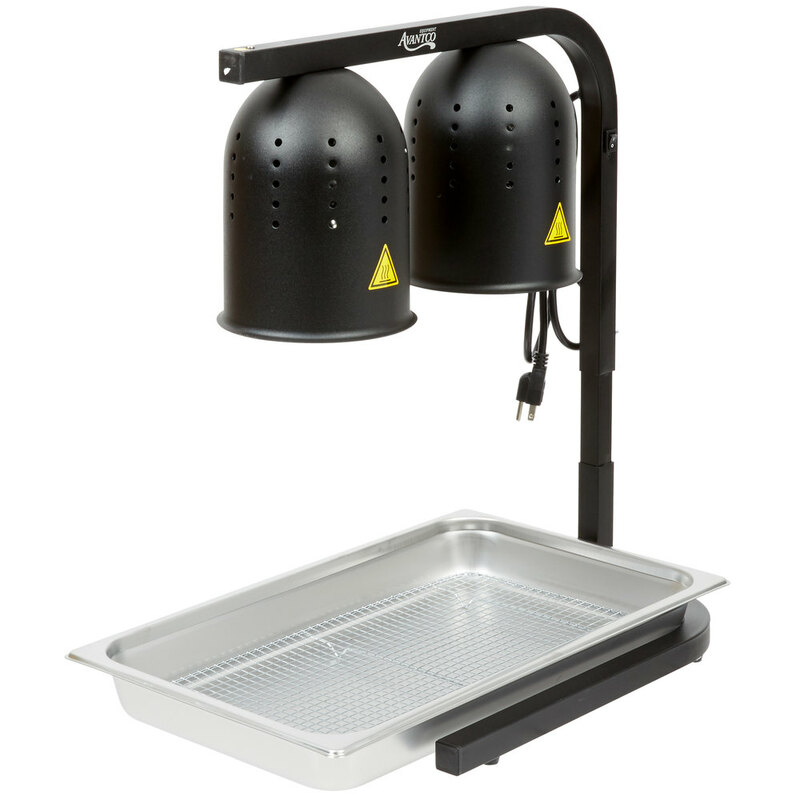 Built from sturdy 24 gauge 18/8 stainless steel, the standard weight full size steam table pan features double reinforced corners that add strength where the pan takes the most abuse. This impact-resistant pan makes cleaning and refilling a breeze. This hotel pan has built-in, anti-jam stacking lugs to enable hassle-proof separation and easy lifting of the pan. 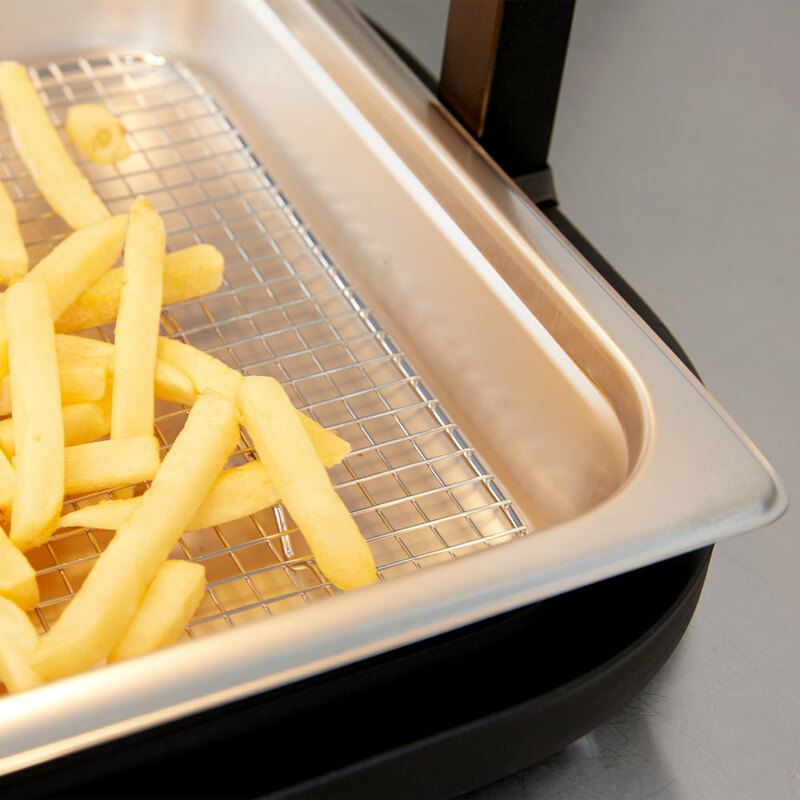 Plus, it can go from freezer to oven to serving line without bending, which ensures that it will sit flat in warmers and hold its shape under the toughest conditions. This pan is dishwasher, freezer, and oven safe, and it is even NSF listed to ensure sanitation. In addition to the pan, this warmer comes with a chrome-plated footed pan grate to keep your food from sticking to the bottom the steam table pan. 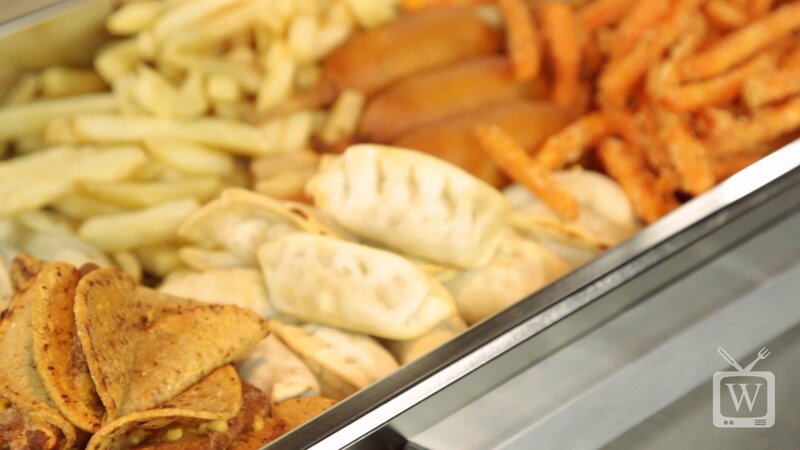 The raised grate also serves as a rack for items that should not sit in liquid or juices. It also helps to drain foods that are boiled or fried to keep them crispy. This grate is sized to fit within a the full size steam table pan. 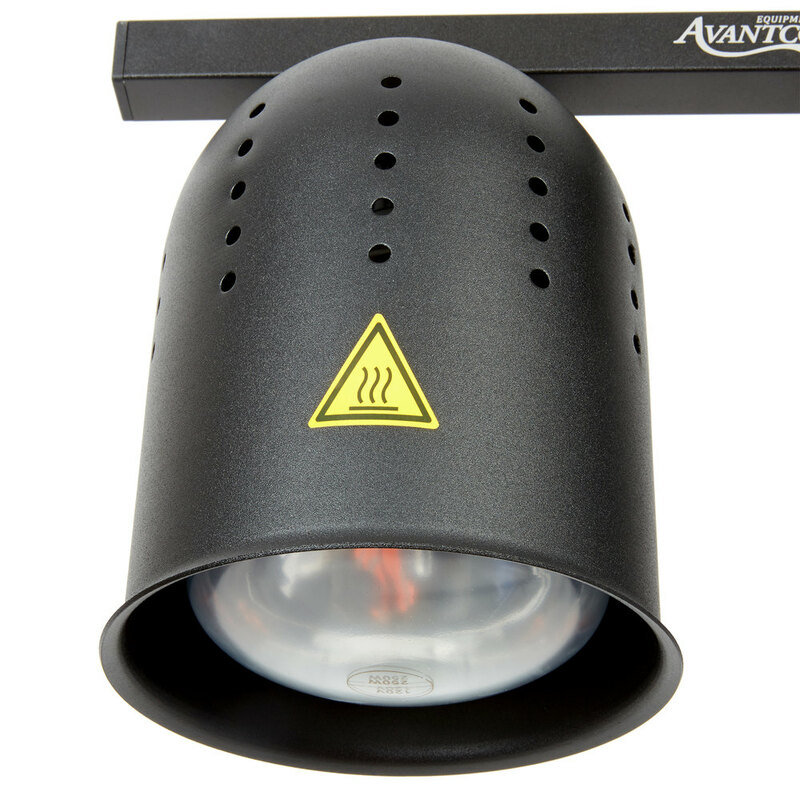 This Avantco food warmer requires a 120V electrical connection and has a total output of 500W. Clearance Under Bulbs: 14" - 21 5/8"
Having a startup cafe, we needed all equipment for our cafe and this one is just right. This worked as expected and it keeps our bacon and sausage hot for hours. This is perfect to help us keep our breakfast biscuits ready to go for large orders. We have had 0 problems with it being hot enough and it fits perfectly in the space. Great price compared to other models and do the job well. We keep fries under them and the adjustable height is useful. Bulbs go out every now and then but stick to good quality bulbs sold by webstaurant and they do better than other cheap options out there. 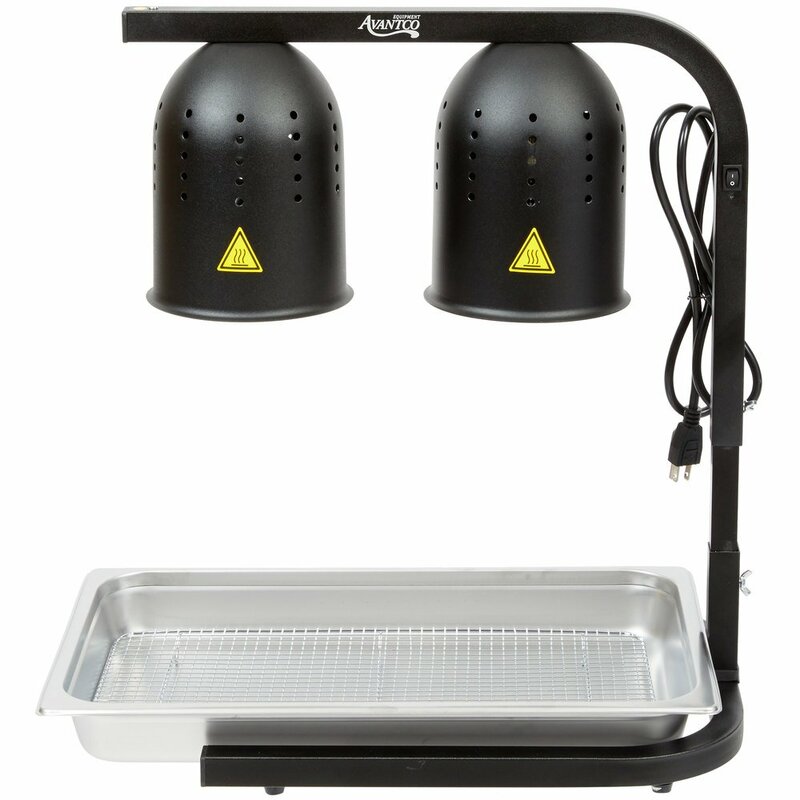 This heat lamp works great to keep food warm for a short period of time. We will have fries or our tater tots sit under this heat lamp while the rest of the meal is being cooked and this lamp is great to keep them warm to be enjoyable to the customer. Simply professional grade. We have ordered both the black and the silver, we love the extra food warmer pan with grate. It allows all of the food to drain and be kept warm. We use this for keeping our french fries warm during dinner service. It's nice, but you can't keep things hot beneath it indefinitely. Its helped our kitchen line though.